Romance and Chocolates go hand-in-hand. 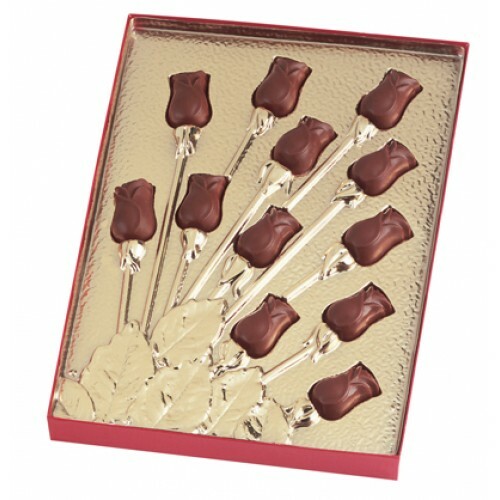 WOW them with this beautiful gift box filled with 12 chocolate roses. 5.5oz.